Healthy Avocado Cilantro White Bean Dip is a speedy snack that’s full of flavor. 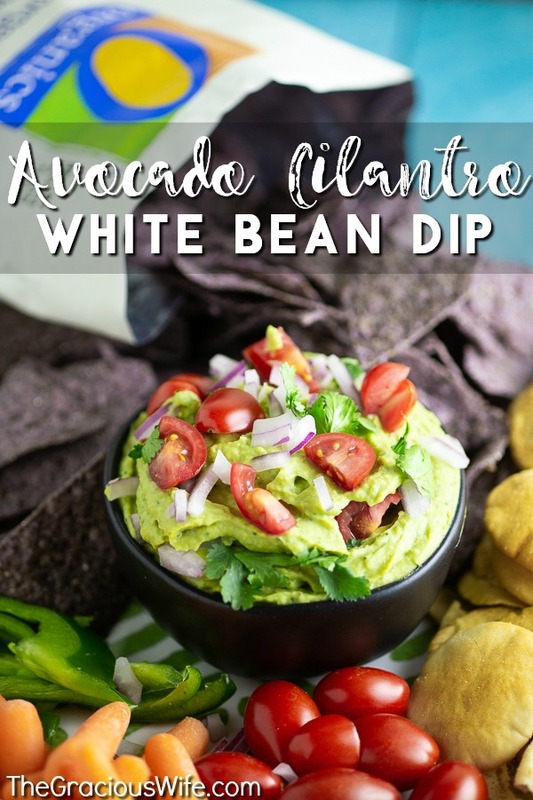 This quick, easy, and healthy bean dip recipe is made with white beans, avocado, and cilantro and is so creamy! Quick and easy, and even perfect for last-minute party apps. Guys. We’re only a month into the school year, and I’m already kind of burnt out. Between three kids in two different schools, soccer, piano lessons, dance class, and homework, it’s A LOT to handle. Sometimes the hardest part about juggling it all is finding time to grab something to eat, let alone sitting down to actually eat it! Plus. Snacks. The number of snacks my kids need every week is amazing. Snacks for school, snacks in their lunchbox, snacks after school, and even snack day rotation for their various sports practices and games. Out. Of. Control. And frankly, I hate feeling like I might be feeding my kids junk so often. Which is why I’m super excited to team up with Jewel-Osco today to share some of their new organic products that are perfect for snack time. Plus, I’ll be sharing a super easy and healthy snack that I make all the time for an after-school, or sometimes weekend, snack. 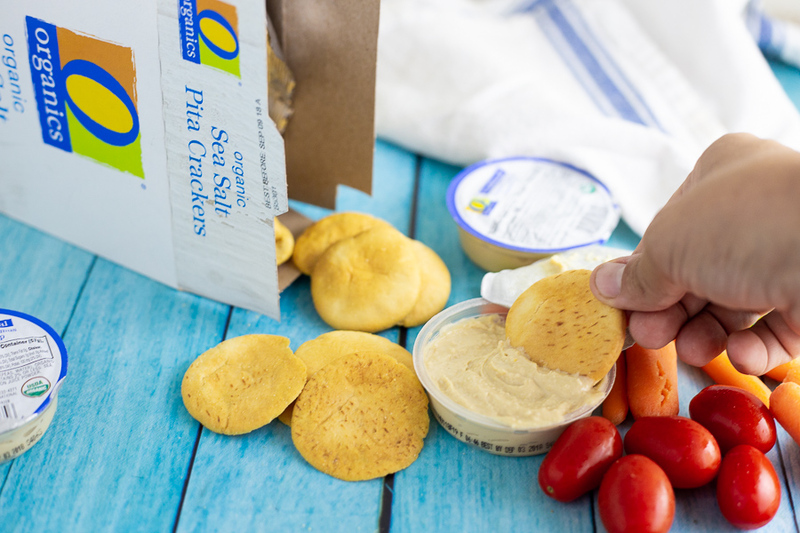 But first let’s talk about snacks for on-the-go. Healthy snacks that are pre-packaged or easy to throw in a baggy and run are difficult to come by. We often turn to baby carrots or nuts for easy snacks, but the kids like a little variety. So when we go to Jewel for grocery shopping each week (you know, after all the soccer games…), we grab some O Organics snacks for the kids. Our whole family loves shopping at Jewel-Osco. I love love LOVE their produce section. It is beautiful, and I could browse it all day. The variety is amazing, and it is beautifully fresh. I grab ingredients for my own salad lunch in that section! My hubby loves the meat section. He works at a fire station right near a Jewel-Osco, and I can’t tell you how often he’ll proudly come home with some delicious meat that he found on sale when the department ran out to grab their ingredients for lunch and dinner that day. He’s also an admirer of their ground bison and thick hamburger patties. Yum. My kids love shopping at Jewel because they love all of the choices that they can choose from (that I’ll actually approve of!) from the O Organics line. In fact, when I tell them we’re going grocery shopping, they say, “Are we going to the good store?” just to make sure. 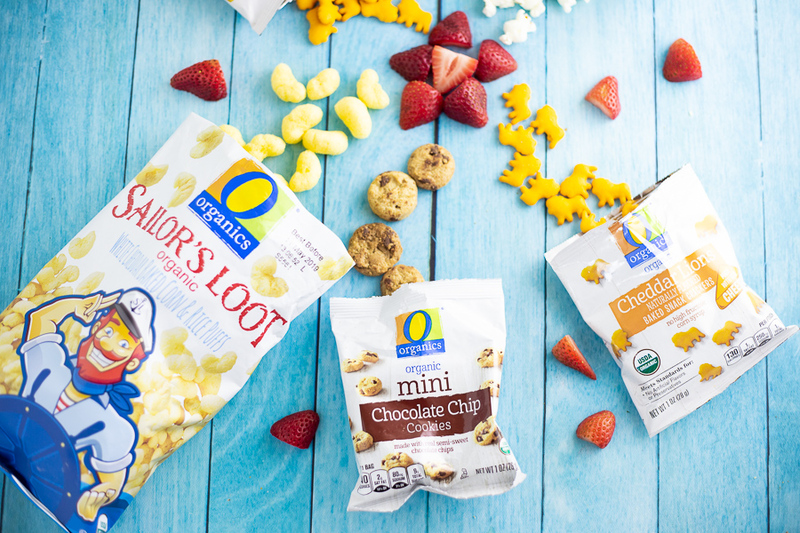 The O Organics® line, available in my area exclusively at Jewel-Osco stores, offers USDA certified organic products for creating delicious, healthy and affordable snacks that everyone will enjoy. Well, what snacks do you buy?? There are so many options, from O Organics® Pasta Rings and Cheesy Ravioli to O Organics® Strawberry & Cherry with Kale Smoothie Kit or Acai Fruit Pack, and basically everything in between. 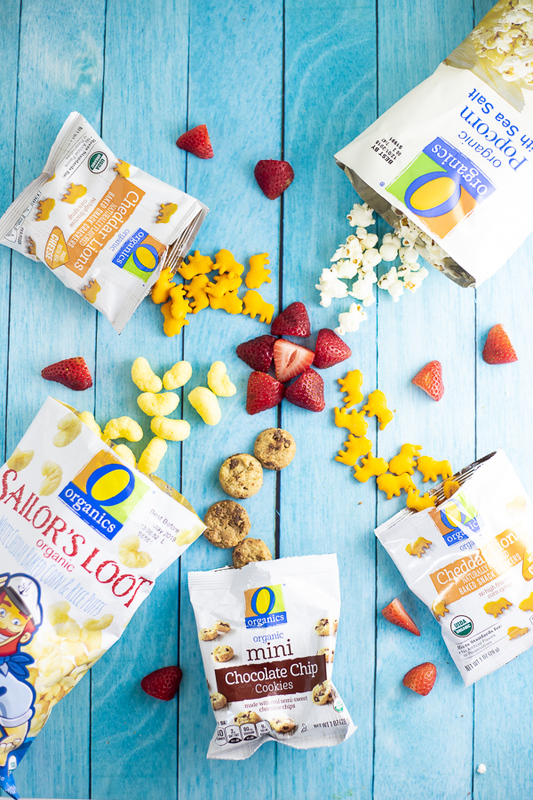 I wanted to share a couple of our family’s favorite snacking options and why we love them. 1. 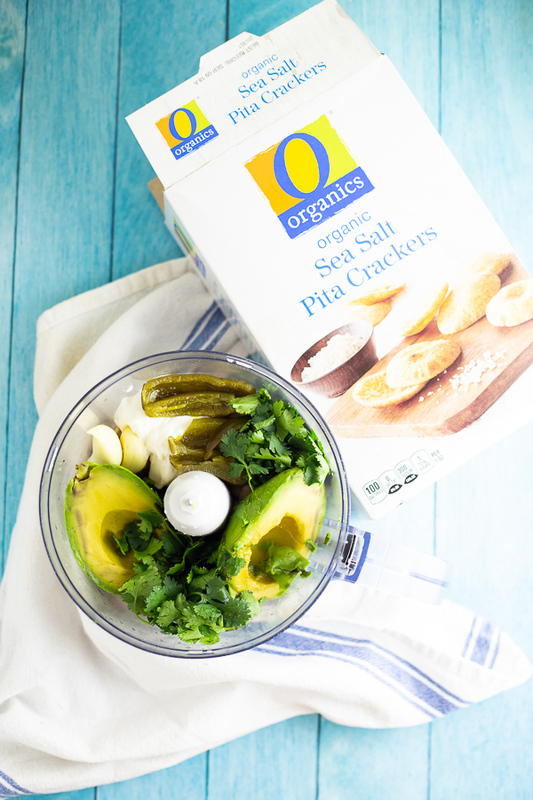 O Organics® Traditional Hummus. This comes in a traditional size that we can snack on at home, and it also comes in little singles packages which are perfect for healthy snacks in the car on the way to activities or at school. I’ll throw a little individual cup of hummus in a baggy with some veggies or crackers, and it’s so easy and yummy. This hummus is really good. I haven’t been able to get my kids to eat most hummus, but they love this stuff. And I totally agree. Even my husband eats it, and he can be even more picky than the kids! 2. O Organics® Cheddar Animals. 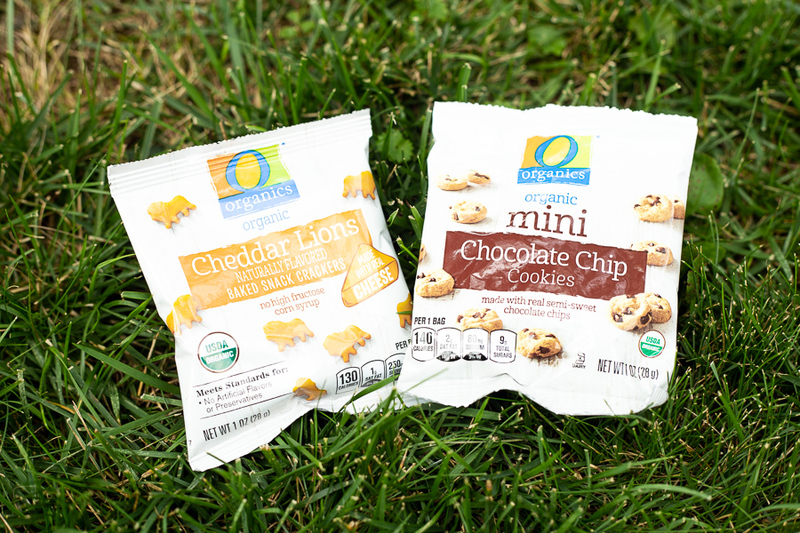 These cute little lion snacks come in a big box that’s great for snacking at home, or in a multi-pack that’s perfect for on-the-go. They’re made with real cheese, and when you can open the bag, you can even smell the cheesy goodness. 3. O Organics Popcorn with Sea Salt. This is one of my personal favorite snacks. It’s a simple, classic whole grain snack, with just a touch of sea salt that makes it oh-so-yummy. I’ll snack on this if I need a pick-me-up and my kids love to put a bag in their lunch. 4. 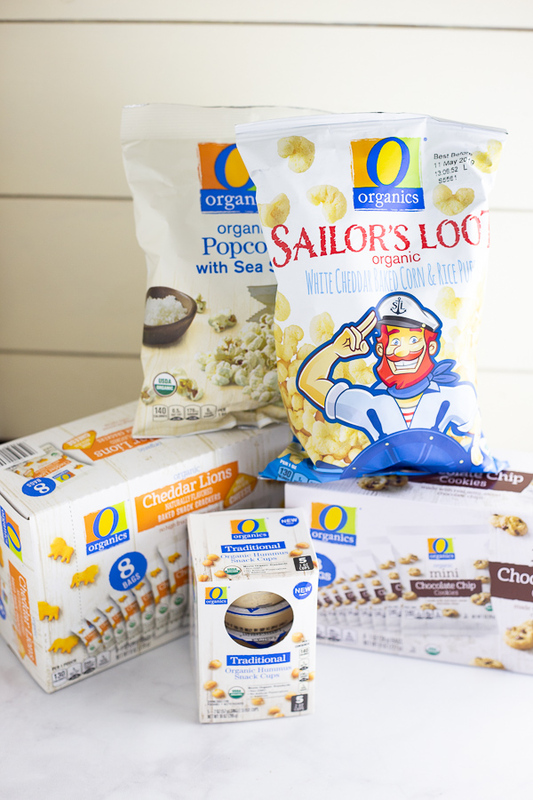 O Organics® Sailor’s Loot. Almost addictive. I have to portion this into a separate bowl because otherwise I want to eat the whole bag right there and then. It’s that good. They’re white cheddar flavored baked corn and rice puffs. We never go without these, and they always go fast. If you don’t trust yourself to not eat the whole bag, it also comes in individual serving multi-packs. 5. O Organics® Chocolate Chip Cookie Multipack. These little cookies come individual packages, and they’re perfect for when the kids need a little treat. 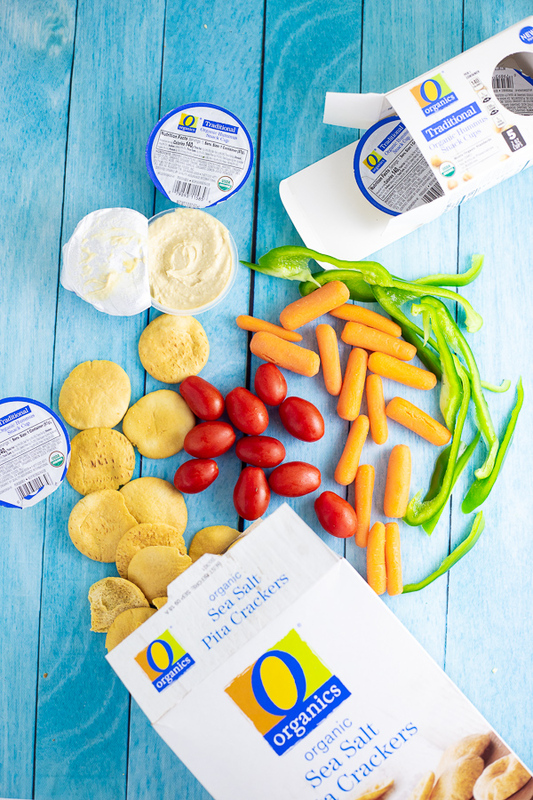 My kids absolutely adore these snacks, and I love that all of them come in super easy packages that make it easy for them to grab a snack no matter where they are or where we’re going. So if you’re looking at all the options and wondering where to start, I highly recommend trying anything on our top 5 list! We grab all of our O Organics products at our local Jewel-Osco stores, and you can also find them exclusively at all of the Albertsons Companies family of stores (Albertsons, Safeway, ACME Markets, Vons, Pavilions, Randalls, Tom Thumb, Shaw’s, Star Market, Carrs/Safeway). Visit JewelOsco.com to find a store near you, and to discover more meal prep tips and recipe ideas. Today I’m also going to share a favorite easy and healthy that I make when we’re not on the go, which is rare but does in fact happen. This recipe is so simple and so good. 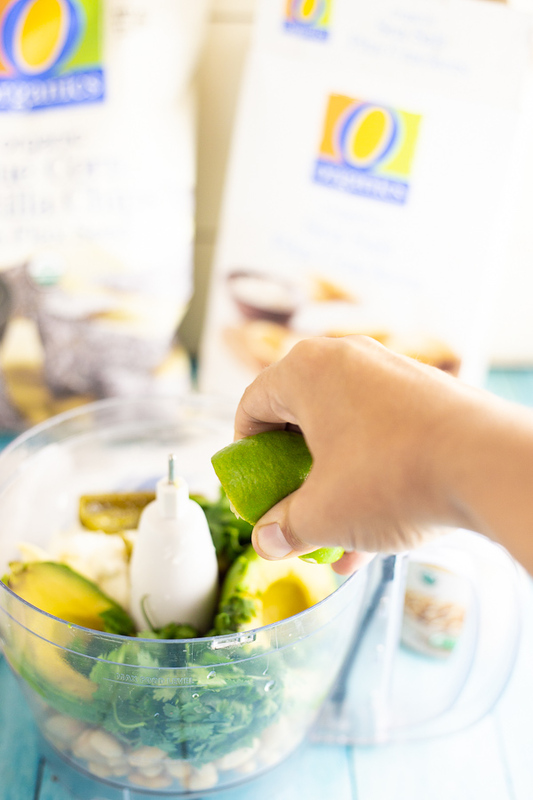 You literally just throw all of the ingredients, which include O Organics Cannellini Beans, avocado, sour cream, jalapeno slices, fresh cilantro, lime juice, garlic, cumin, and salt, in a food processor or blender. 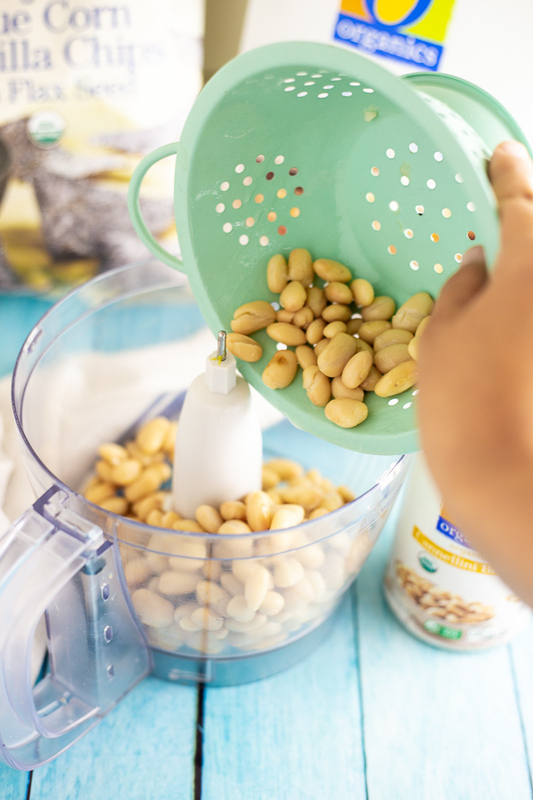 Process until smooth, and your Avocado Cilantro White Bean Dip is ready for snacking. That’s it. Fast. Easy. Healthy! 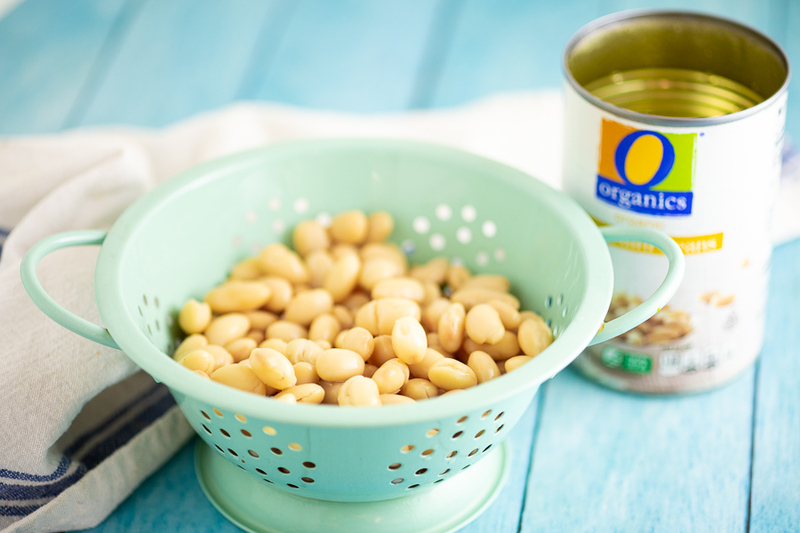 You could also easily sub the cannellini beans for O Organics Garbanzo Beans, if you prefer. I would have taken more pictures, but once the family saw what I was making, I had a parade following me around asking me when I would be done. 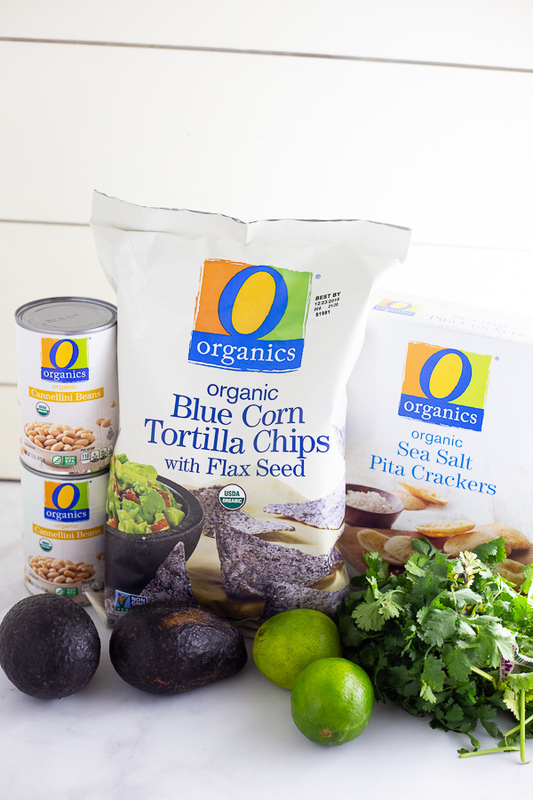 Serve with veggies like carrots, tomatoes, or bell peppers, which are my hubby’s favorite, O Organics Pita Chips or Pita Crackers, or O Organics Blue Corn Tortilla Chips with Flax Seed, which are my kiddos’ favorite. Healthy Avocado Cilantro White Bean Dip is a speedy snack that's full of flavor. This quick, easy, and healthy bean dip recipe is made with white beans, avocado, and cilantro and is so creamy! Quick and easy, and even perfect for last-minute party apps. Place all dip ingredients in a large food processor or blender. Process until smooth. Avocado Cilantro White Bean Dip can be served immediately or covered and refrigerated until ready to use. Garnish with sliced cherry tomatoes, red onions, and more cilantro. 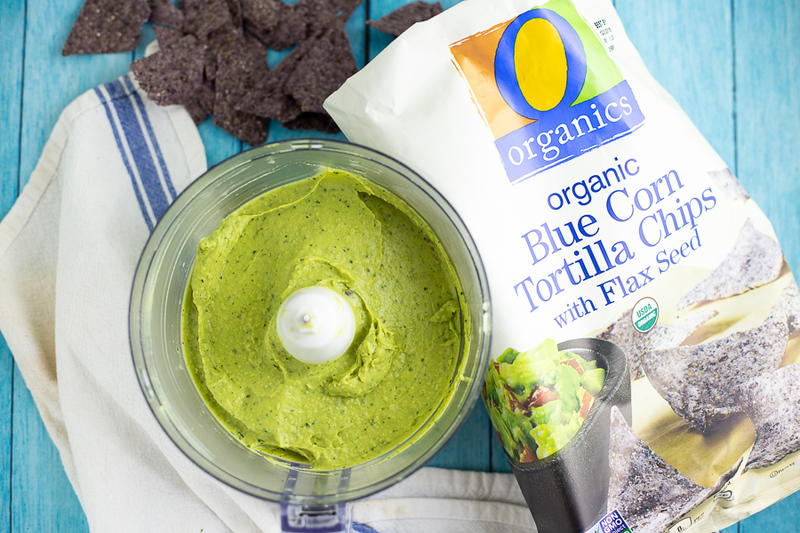 Serve with veggies, O Organics Pita Crackers, and O Organics Blue Corn Tortilla Chips with Flax Seed. Depending on how much you like spicy food, you can use hot or mild jalapeno slices from a jar. Or if you really love spice, go for fresh jalapeno, seeds removed and sliced. I prefer to handle fresh jalapenos with gloves because I have gotten pepper oil burns in the past. No fun! Be sure to wash your hands after handling too! Visit JewelOsco.com to find a store near you and discover more meal prep tips and recipe ideas. Follow Jewel-Osco on Facebook, Pinterest, and Twitter, too! This looks so delicious! 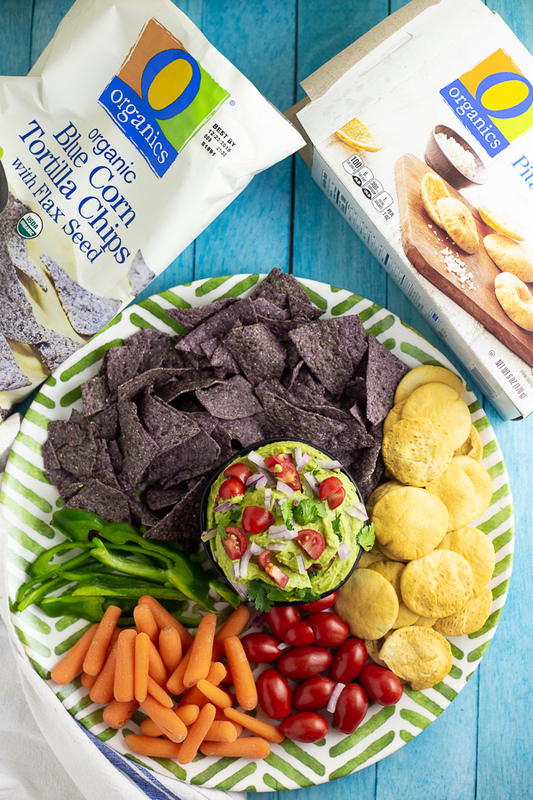 It’s the perfect party dip that everyone will love! I love the O Organic brand! YUM! 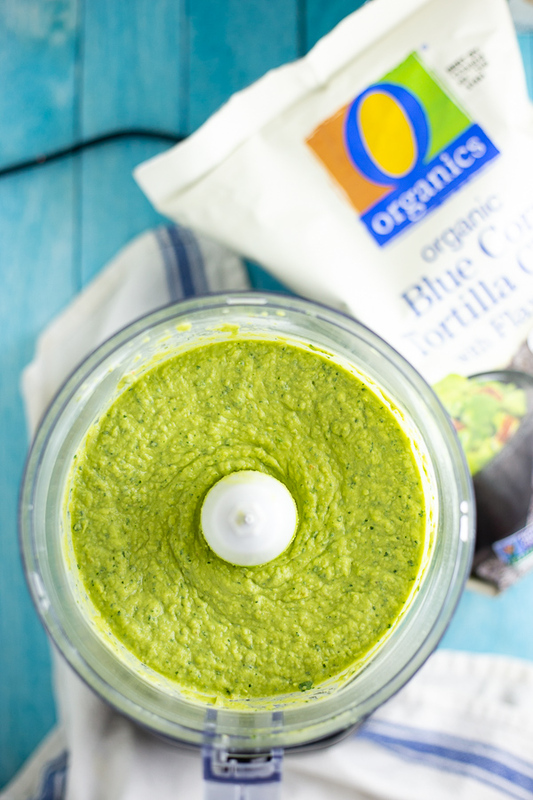 And dipping some of their chips in this delicious avocado cilantro bean dip, double score! Oh my goodness, give me ALL the avocado and cilantro! Making this ASAP! Oh man, this dip looks absolutely AMAZING! The combo of those beans with avocado and cilantro – yum! I can’t wait to get the ingredients and make some this weekend! We love adding avocado to our dips for extra colour and creaminess too. This would be perfect for game day. This is such a lovely dip, I just need some crackers with it now. Shall soon try this one. 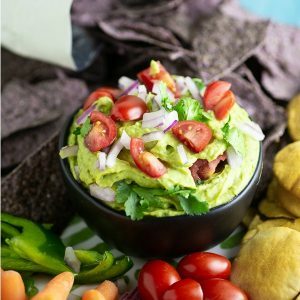 What a fun twist on traditional guacamole! I love it! Pinning this for later! Girl, I hear ya. Early mornings, afternoon homework, after school activities … I’m tired and we still have an entire school year to go! Unfortunately, none of the stores you mentioned are close to me :(, but I still might try that dip! Avocado is my jam. Looks so healthy and flavorful! Love it. 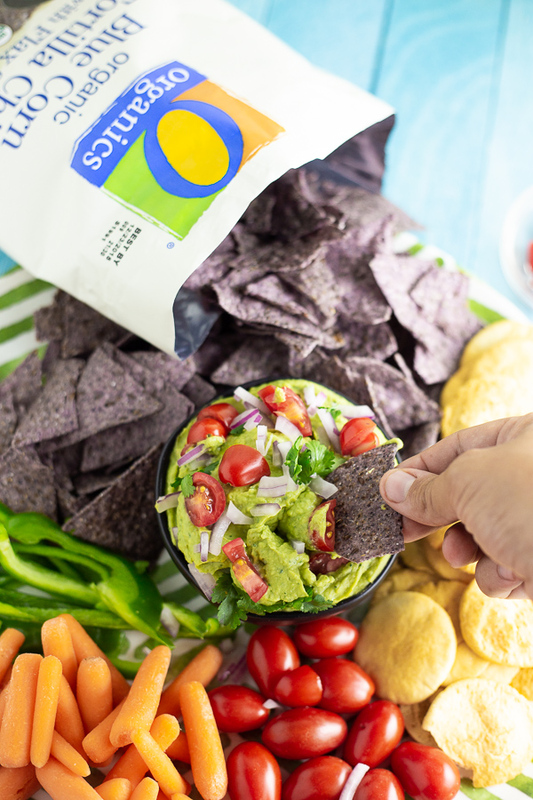 Pass me the chips, this dip looks amazing! Thank you for a beautiful avocado bean dip recipe. Made this tonight for my family and the kitchen smells divine. It tastes even better.